This bro is bad if want to know click this link and watch it and you will see him in full focus copy and paste it if not all a to click on it. 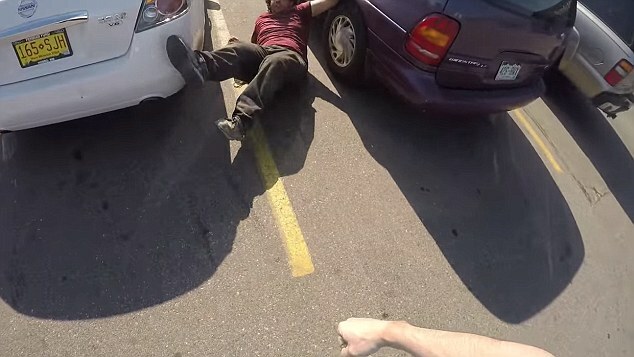 This belligerent, low-IQ dimwit got knocked the hell out after he was confronted for driving recklessly. Got what he deserved. The biker wasn't any better. He blew through a stop sign, sped etc. Both of this wiggers should get out of Faturica. This brave and honest man was stalked and assaulted by a crazy lunatic on a motorcycle for no reason whatsoever. After he assaulted him he made some crude remarks about his wife's weight. I hope he takes him to court and sues for physical and mental damages. Farm animal gets loose, encounters human and goes down. Drangerous Driver that is also completely childish. Want proof?